-It works with your iPhone, Android or Windows phone… Also DAPs. 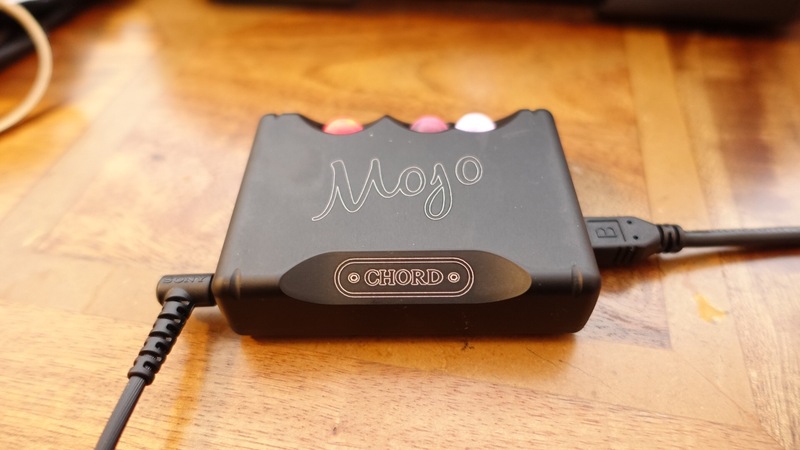 So we can all read the specs and features and so on, BUT the key point is how does the Chord Mojo perform and does it sound any good! 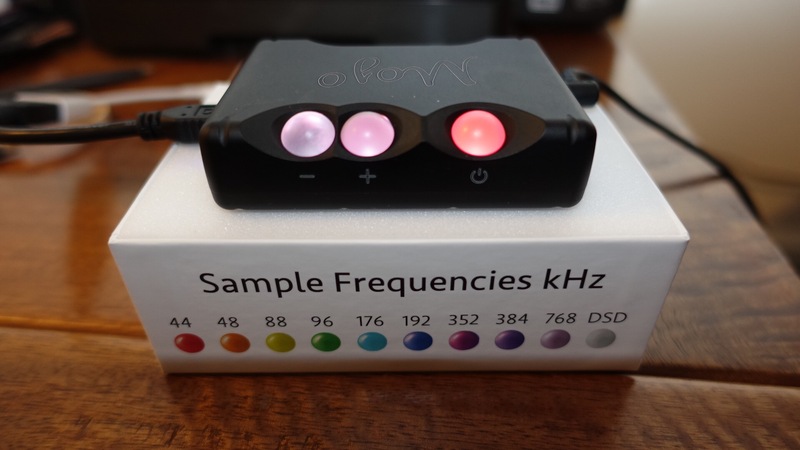 Answer it is a magical, breathtaking product that blows the competition away when it comes to musicality, sound quality and tonal reproduction. At its price point of £399, there is nothing anywhere near this and likely up to and slightly over £1,500 that competes. Chord sell the Hugo, a bigger version of the Mojo for £1,400, and yet the Mojo according to those that are lucky enough to own both reproduces 97% of what the Hugo achieves. Some say its better. I have been listening to the Mojo with Sony MDR-1RNC, AKG K702 and ATH-M50x headphones and I have never heard my headphones sound so good. Period! The Mojo is funky with its coloured balls that change colours yet its built like a rock. A stunning piece of engineering. I am not listening to high end FLAC or DSD tracks just normal MP3 encoded music to achieve this wonderful sound. For the record, the Mojo is not a review unit/loan. I consider the Mojo the single best electronic purchase I have ever made. That list includes phones, cameras, tablets, audio equipment, gadgets and more. My recommendation would be to stop buying the next best smartphone, and start enjoying your music collection all over again! Can’t listen to Mp3s after FLAC etc high definition music. You would adore the Mojo!! Bad timing as I’ve just ordered my Samsung Gear S2 Classic. ! I hear ya Jah! I only buy mp3s if I HAVE to since getting into the whole Hi-Res thing. lol Even CDs I’ve had for years that I’d ripped to mp3, I RE-ripped them about a year ago to FLAC. You DO hear a difference! The main thing to come back is the bass and drums. They suddenly have a deeper greater power to them. But Hi-Res is still the best. They tend to sound the most clear, and have the best overall sound quality, soundstage, etc. You are not making the wait for my own Mojo to arrive any easier. Off on holiday for a week and on return should have not only the Mojo, but also the Ether C should be arriving. Looking forward to returning from my holiday as much as I am the holiday itself! I’ve seen your comments in Head-fi Gav. My Mojo landed last night and I’m in Qatar. So far I’ve used my S6 and AK240ss as transports and paired them with my SE846’s and Lawton modded TH-900’s. I don’t know how Chord have done this coz it’s amazing for the price point and size. It really is a stunning feat of technology by Chord. I have the Hugo as well and this little gem comes very very close to the Hugo. A fantastic portable system now so the Hugo will styy as my desktop. Nice review! 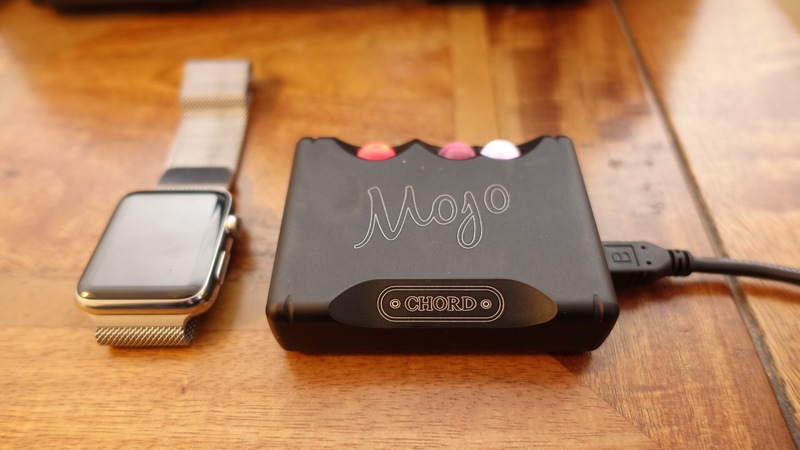 The chord mojo does look rather interesting. I like that it’s small too. I had the Celsus Sound Companion One ($595) http://www.celsus-sound.com/index.php/product/companion-one , but ended up returning it for the cheaper Oppo HA-2 ($299). Although the reviews I’d read indicated that the CO was better overall, I couldn’t tell a difference honestly, so I returned it for the HA-2 instead. 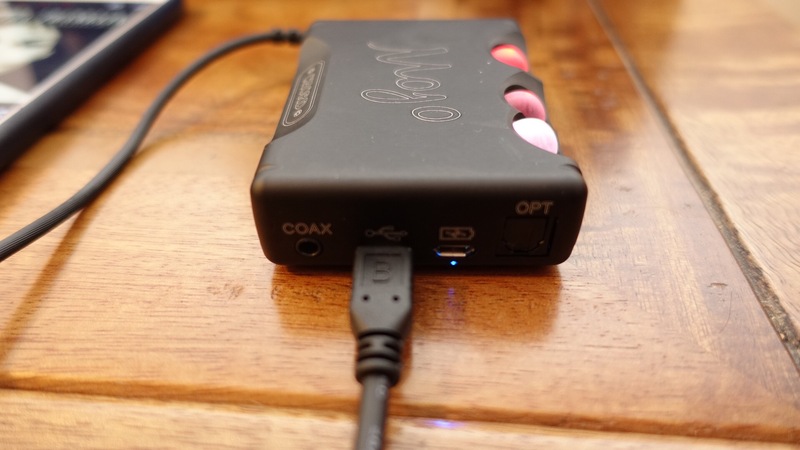 The CO offers Wi-Fi (not the lesser-quality but more common Bluetooth) for wireless, which I think is a first for a portable amp/DAC! The HA-2 of course as you know offers the option to be a battery pack for your phone, which I find handy. And it also has rapid charging (though for phone charging it’s regular speed). Perhaps you could do a comparison of the HA-2 vs. the Mojo or Mojo vs. the CO (or both?) one day if you’d like? I did hear a difference between the iBasso DX 50 and my old Walkman NWZ-A17 (Walkman was pricier but better! ), but as the price goes up it can get harder to tell unless I’m like comparing like a $2500 amp/DAC or DAP vs. like a $500 one I think. The CO vs. the Mojo would be interesting b/c they both are about the same price. Thanks for the kind comments. I still have the HA-2. I also recently had the HA-1 (somewhat bigger!!) I have done comparisons between the HA-2 and Mojo. On sound quality the difference is so vast that I’m selling the HA-2. Interesting about charging the iPhone. I also have a few android devices and have tested the Mojo using UAAP app and the quality is just as good. Thanks. Yeah the HA-1 is the desktop version of the HA-2. The HA-2 and HA-1 both have the same DAC chip (the ESS Sabre 9018), though the HA-2’s DAC is a “mobile version” of the HA-1’s DAC chip. That’s cool. I dunno, ppl said the same thing about the Celsus Sound Companion One, and it’s around the same price as the Mojo, but when I compared them (Companion One vs HA-2), I couldn’t hear a difference. I wonder if I’D hear a difference b/t the Oppo HA-2 and the Mojo? Ppl said the Companion One sounded better than the HA-1 which is double its price (HA-1 = $1200), yet when I compared it to the HA-2, which is half its price ($299), I couldn’t hear a difference. Maybe my hearing or knowledge of “what to listen for” isn’t the best, but I think it’s still above average. I can pick out qualities in music that ppl I know can’t. What makes it difficult with audio is it’s so much harder to tell apart audible differences than it is with video. UAPP is usb audio player pro app for android. I did listen to both ha-2 and mojo side by side. I’ve sold my ha-2. The ha-1 sounds awesome. I had one to review. Used it with my oppo pm-2 in balanced mode. Oh ok. I know that app. I was meaning to buy it sometime soon and compare it to my Poweramp app. Some have said it’s better than Poweramp, but I’LL be the judge of that. lol Some have also said the UI wasn’t as good as Poweramp’s, so I’ll be evaluating that too. Yeah you did say that (side by side), and that you sold your HA-2 too. That’s cool that you got to test out the HA-1 with the PM-2s. I got the PM-3s as you probably remember (from my recent Head-Fi review of them). I was just proposing doing a Mojo vs Companion One (CO) test. I dunno that I’d be buy the Mojo even if it won out there, but I’d be open to it in the future. It’s just that again, ppl said the CO was better than even the HA-1, yet to me it sounded no better than the HA-2. So ever since I came to that conclusion, I’ve become much less open to what reviews say and more dependent upon my own listening interpretations. I even appreciate “small differences” between two devices, and don’t really consider a small difference “small” anyway, but I didn’t hear ANY difference, so yeah. I used the HA-1 in balanced mode. I tried it also not in balanced mode. The difference was vast. Balanced made a huge difference. Don’t know if that maks any difference to the reviews out there. I agree about making your own opinions. Our ears are all different too and we hear and like stuff differently. I’ll admit I’ve never tried “balanced mode”, but am familiar with what it is. Yeah the PM-2s I think do offer that, but the PM-3s just do non-balanced (1 cable vs the 2 for balanced mode). Thanks for info. I am going to have a read after dinner tonight. Just been reading up on the CO. It would be really difficult to buy as no UK dealers for it. However, it seems to follow the Oppo path in many ways even to the point of including all the cables and being Apple MFI compliant. I would be willing to hazard a bet the Mojo would be well ahead in the audio department and that’s irrespective of your music genre preference. I feel that the HA-1, the HA-2, the CO, and the Mojo ALL have great reviews (from quickly looking each up online), so really, they all stand as very impressive options to consider. Oh you’re in the UK? Ok. I had a feeling you might’ve been outside of the U.S., but wasn’t sure. Couldn’t you just buy it FROM the Celsus Sound site? I know Amazon may not ship it to you in the UK (and UK Amazon doesn’t carry it), but Celsus Sound might? This review, which is written in Dutch, once translated, says it’s even better than the $1200 HA-1………. Excerpt from that review (excuse the “not so accurately done” Google-transcripted parts lol): And how does it sound? The Companion is performing above average. Though when paired with the iPhone, we notice that the sound is gaining depth, dynamics, focusing. Texts are intelligible, instruments get a place. You hear on headphones, and also when connected to a fixed installation. And the quality increases when hi-res music through the laptop. The Companion One sounds then even more sophisticated than the Oppo HA 1 DAC / preamp! And while the chipset is almost the same! We experienced here once again that a good chip-DAC also needs to be embedded in an electronic circuit which is correct from all sides; current treatment, for example, input clock and receiver. This review (Page 2 of 3) seems to favor the CO over the HA-2, though for bass at least it says the HA-2 is better. Just read through the “Tonality” section at top. Take a look and lemme know what you think. Ok kewl!! Yeah lemme know. You get a chance to check out that CO stuff (above)? Just wonderin’. I have read up a lot on the CO, but I won’t be getting one. It will not offer anything majorly different from the Oppo HA-2. The Mojo uses custom parts, hence why it’s so different and better imo. I sold my ha-2 after hearing the mojo. The HA-2 has advantages eg proper mfi Apple support. Fast charging. Easier to stack. No rf interference with a phone. Also can recharge your phone. And it’s still very good. Yeah. I love its sleek premium design, and the option to choose b/t Low & High Gain. The battery pack and rapid charging options are also worthwhile features as well. …….and I pretty much only listen to rock music too. Also, I decided to turn off my EQ on Poweramp as the one I had was great except it was causing “static” on random songs while listening on my PM-3s. I guess b/c the PM-3s are so clear, they even hear “more of the bad” than regular dynamic headphones do, so this was necessary. I’m gonna have to update my Head-Fi review too so people know. Now I have NO static at all on any songs thankfully.